Our first and probably only gripe about the restaurant was the small space and having to share and squeeze in between tables. It was difficult for us to even move our arms freely for fear of hitting the person next to us. We spotted an alfresco seating area but it seemed to be closed up. The actual indoor dining space was extremely tiny and could not accommodate a large number of people. But there is also a small retail space if you are thinking of picking up some cute Little Twin Stars merchandise. 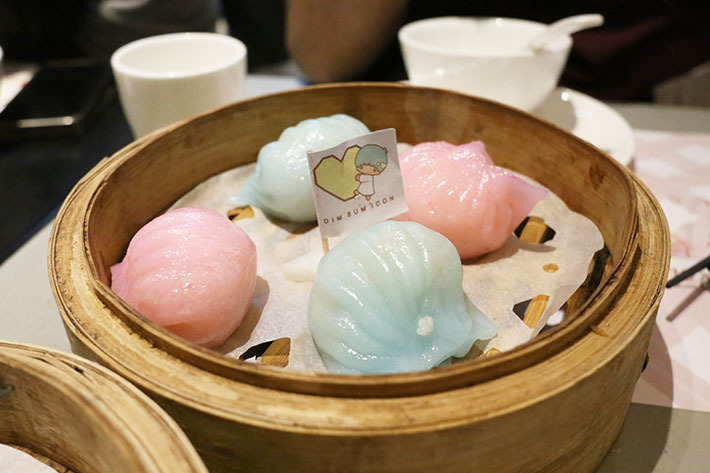 The Creamy Custard Bun (HK$49 for 3) is a must-try item for all first-timers at Dim Sum Icon. Choose between a steamed and fried version; we went for the former. Unlike some other custard buns that we have had, the custard inside this particular bun was extremely flowy and molten-like. It definitely was not the best we’ve tasted though, but it was above average in terms of taste and texture of the actual custard. The cute Little Twin Stars imprints on top of the buns is, of course, the cherry on top and we couldn’t stop snapping photos. When in Hong Kong, you must have their rice rolls. The Steamed Rice Rolls with Seafood (HKD$49) was a hearty portion with prawns and crab sticks stuffed in the rice rolls. Only one of the rolls had the Little Twin Stars printed though, so take your photos before you mess the dish up! The prawns inside the rolls were plump and huge; the “QQ” or springy texture of the rolls were the winning factors for us. The rolls taste best when consumed as soon as possible, so make it snappy when taking your photos, and enjoy it while it is hot. These pastel-coloured gems made our days when it reached our table. 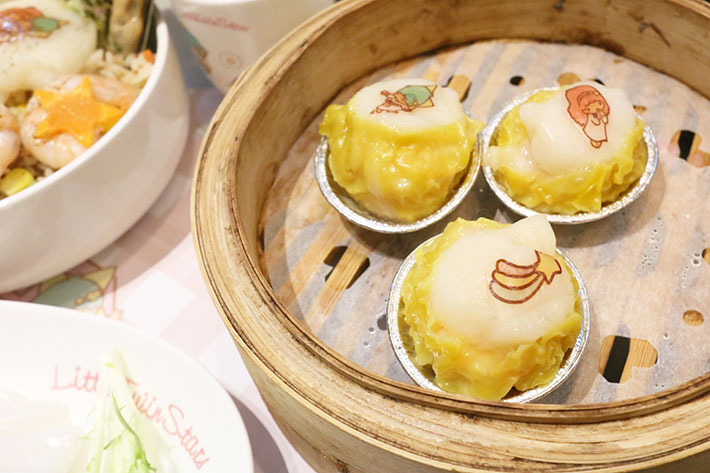 The Colour Prawn Dumplings (HKD$59) are essentially ‘Har Gao’ or regular steamed prawn dumplings, with the dumpling shell coloured to the theme colours of Little Twin Stars. Although the dumplings itself were not anything special, it was still a dish we did not regret ordering. Every dumpling was generously stuffed with crunchy prawns. And you bet the colours made us really happy. We were so tempted to try the Steamed Pork Dumplings Topped with Scallops (HKD$69) and alas, we gave in and ordered a portion. These Siew Mais are slightly more premium with scallops as toppings. This dish actually surprised us as the meat filling was pretty tasty and juicy. 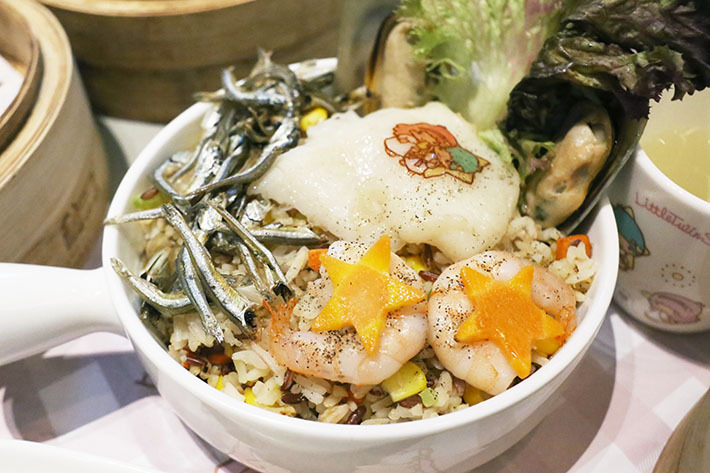 We were still hungry, so we went for something hearty – the Fried Rice with Seafood (HKD$79) but we were immensely let down. The rice was dry and tasteless and the seafood did not taste fresh. The odd use of fried anchovies made each bite even drier and the dish just did not work for us. So we say, stick to the actual dim sum dishes and skip everything else. One popular dessert to try is the Rabbit Marshmallow Dessert (HKD$29). 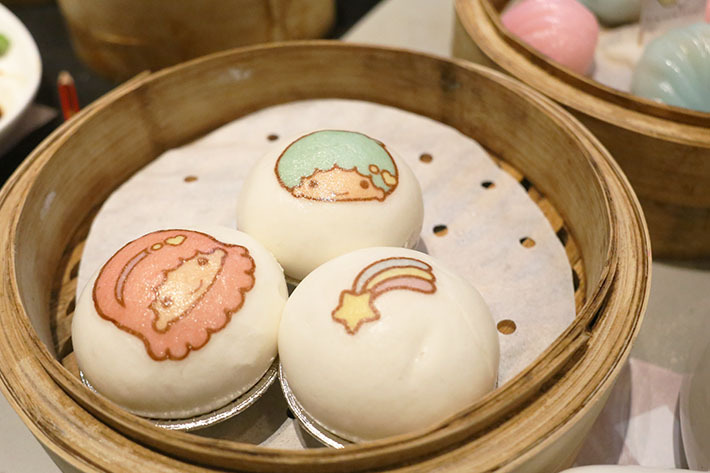 But if you still want more of Little Twin Stars, there are also themed desserts such as the Milk Tarts (HKD$39), Kiki or Lala Cup Cake (HKD$49) and Chestnut Mille Crepe Cake (HKD$49). 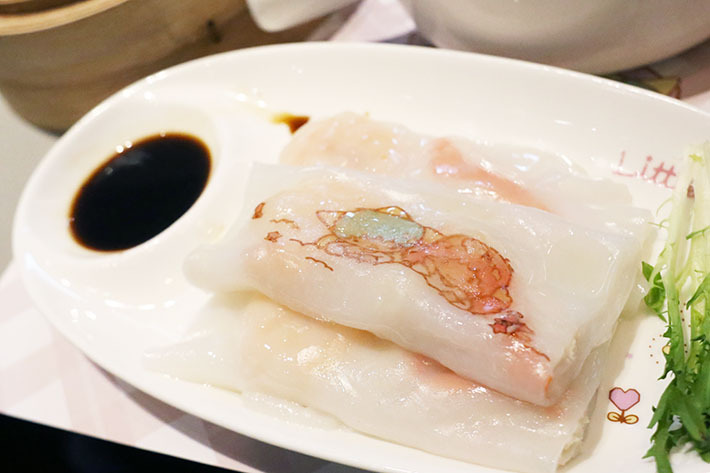 While some might think that the dishes here are gimmicky, Dim Sum Icon deserves a thumbs up for their attention to details and pretty yummy dim sum.